Clipsal’s modular system of electrical switches, outlets and accessories can suit any design. 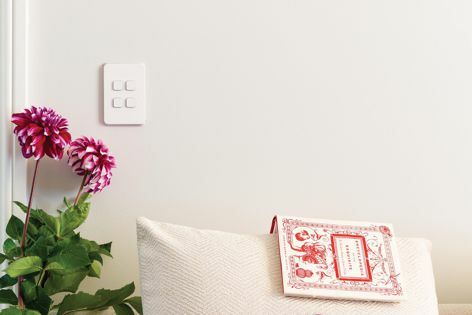 Clipsal’s Iconic is a complete range of switches, outlets and electrical accessories, with the option of bluetooth control, which offers a platform for modern living. The range is easy to use and has a modular design that allows it to be adapted to meet future demands for style and function.